After iPhone OS 3's release last summer, we pulled out our crystal ball, dusted it off, and tried to look ahead to iPhone OS 4. Some of what we wanted to see were big features, others were small tweaks. (Be sure to take a quick look at our original story before proceeding.) How did we fare? Let me put it this way: We won't be going into the psychic business anytime soon. Wallpaper on the home screen: in iPhone OS 4 you'll specify a background photo for the home screen, like you already can with the iPad. And like the iPad, iPhone OS 4 will let you use a different photo for the home screen and the lock screen. Nice! Multitasking/background tasks: iPhone OS 4 will allow apps to run a number of tasks in the background. You'll now be able to listen to music, have a Skype conversation, get directions, and more without having to close your other apps. Unified e-mail inbox: Yes please. This long-overdue feature means that, if you check multiple e-mail accounts on your iPhone, you'll be able to browse all your new e-mails in one place instead of having to switch from one account to another as you need to do now. Refreshed Notes app: The current notes app is pretty basic as it is, and Apple made no mention of it at the event. We'd like the ability to change the background color and font, at least. Improved photo editing and sharing: Jobs didn't make any mention of improved photo editing support, though a slide during the presentation notes that you'll be able to rotate photos now. We don't know much beyond that yet, though. Web search in Spotlight: The Spotlight search screen on the iPhone and iPad currently only handles local search, not Web search. This would be a fairly significant addition which would likely get mentioned today. 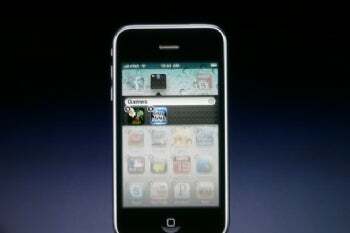 Apple didn't bring it up, so it's pretty safe to say that we won't be seeing this in iPhone OS 4. Update 4/8/2010, 9:30 PM PDT: 9 to 5 Mac and Engadget both have screenshots indicating that Spotlight will have some form of integrated Web search. Judging from the screenshots, it doesn't appear to show the search results inline--it looks like tapping "Search Web" will open Safari and run the search--but I think it's safe to remove this one from the "things we got wrong/don't know about yet" list! More gesture support: We wanted to see more gesture support in certain areas of the iPhone interface, such as the ability to swipe a voicemail listing to remove it. 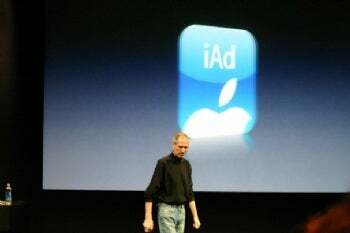 We'll have to wait until iPhone OS 4 goes public to see if Apple made any changes here. Terrain View in Maps: Apple made no mention of improvements the Maps app in the presentation, but given that the iPad now supports Google Maps' Terrain View, I'd be shocked if this small addition didn't make it into iPhone OS 4. File browser: Earlier this week I looked at how easy it was to access, share, and sync files using the iPad. It wasn't pretty. The iPhone and iPad use the same OS, so they share the same problems here. We don't necessarily want a full-blown file browser like Windows Explorer or OS X's Finder, but we would still like a central repository for accessing e-mail attachments and the various documents stored on the iPhone or iPad. Here's hoping for iPhone OS 5.
iBooks: Apple wasn't in the e-books business last summer, but it seems only logical that Apple would bring its e-books store and reader app to the iPad's little brother. App folders: Do you have an obscene number of apps on your iPhone? Folders will bring some sanity to the situation by letting you better organize apps. You can create folders for games and productivity apps, for example, or have one filled with your favorites. Open e-mail attachments in other apps: In iPhone OS 3 and earlier, most e-mail attachments are trapped within the Mail app (the only exception I'm aware of are photos, which can be saved to the Photos app). This new feature should make it possible for Mail to pass off attachments to other apps you have installed. This is a welcome addition, but if it's anything like document handling on the iPad, it'll be up to the individual developers to support this in their apps. This means that, from an end-user's perspective, file handling will still be hit-and-miss, at least initially, and it'll still be awkward without a proper file browser app or better computer-to-iPhone syncing capabilities. Game Center: Game Center is some sort of social networking feature for iPhone games that'll let developers build in leaders, achievements, friend-invitation features, and so on into their games. The concept seems a little fuzzy, so we'll have to see how it gets implemented in the real world before we pass judgement. Mobile advertising (iAds): iAds is more of a big deal to developers than users; basically it's a built-in way for developers to include ads in their free apps. Apple says that it'll improve the quality of ads presented, but I fully expect to see "Shoot the monkey and win a free iPad" ads in the not-too-distant future. What is your take on today's announcements? Any surprises? Anything you hoped to see? Did we miss something? Leave a comment below.